Create living style guides with interactive examples, that change as your design does. 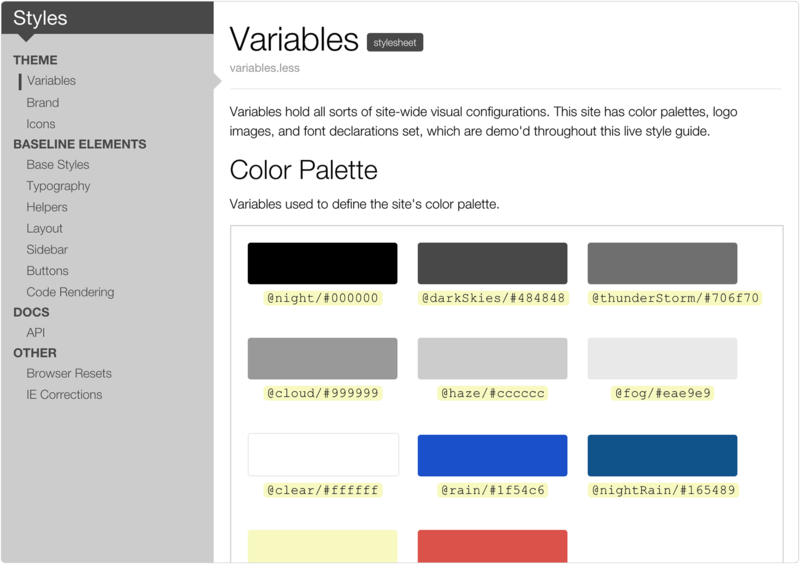 DocumentCSS makes it easy to incorporate style documentation as part of your design workflow. 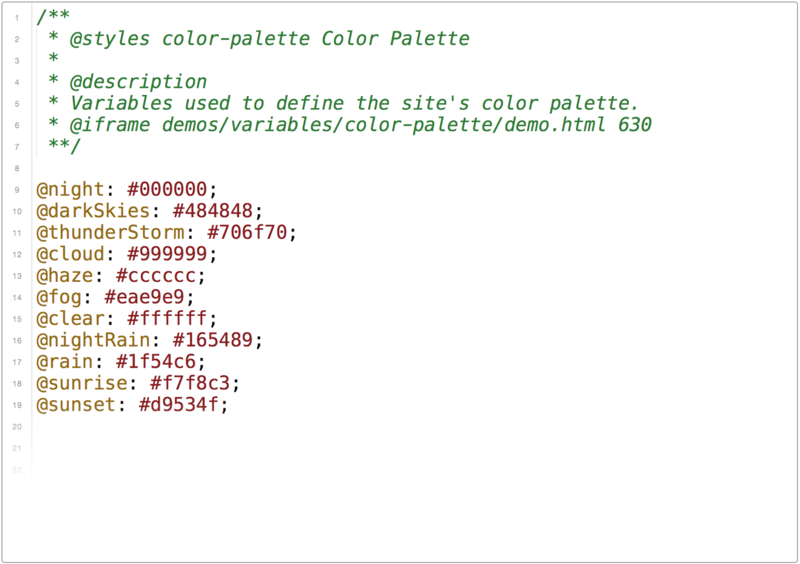 Using a combination of custom tags and markdown, DocumentCSS parses coments on your CSS, Less, or SASS and autogenerates a site with your documentation.